Coming soon at RTC West: a couple of restaurants. Coming in a few years (maybe): more than 700 apartments, one million square feet more of office space and much more retail. 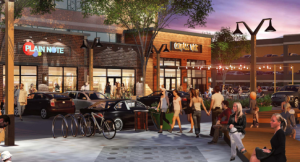 Developer JBG Companies says that the plans for RTC West — the project that is turning several office buildings on Sunset Hills Road near Town Center Parkway into more than 40,000 square feet of restaurant and retail space — is just a “phase one” plan. The 13.77-acre property already has two four-story parking garages, one of which would get a six-story, 125,000-square-foot office addition, JBG said. The nearly 500,000-square-foot office park would grow by roughly 1.35 million square feet — 675,000 square feet of residential and 675,000 square feet of office. In the end, expect plans for 702 multifamily units; about 1 million square feet of office space; 91,950 square feet of retail; and more than 3,100 parking spaces. JBG proposes to construct the new office buildings on the southern side of the property along Sunset Hill Road, for maximum visibility from the Dulles Toll Road, and the residential towers to the northeast, closer to the W&OD and Town Center Parkway, WBJ reports. RTC West is less than a quarter mile from the future Reston Town Center Metro station, which is scheduled to open in 202o. It also essentially extends development from the station through RTC West and into the existing Reston Town Center. RTC’s first phase is under construction. The second phase has not yet gone through Fairfax County Planning process. 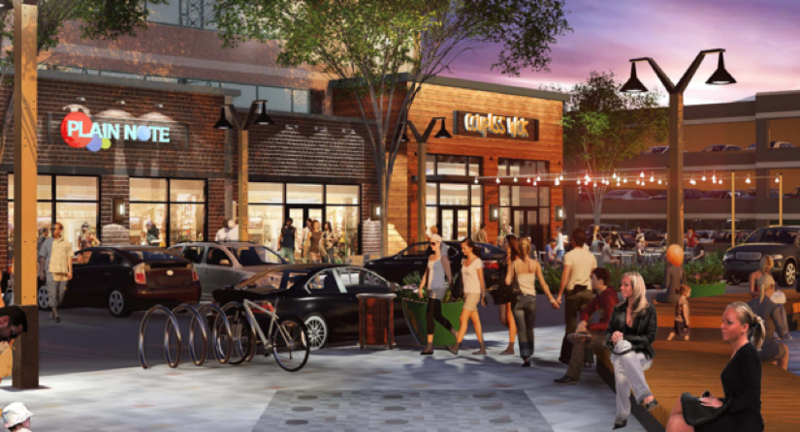 The first phase of RTC West already has leases signed or a nearly 10,000-square-foot Cooper’s Hawk Winery, Nando’s Peri-Peri and Mezeh Mediterranean Grill. It is expected to open some time in 2017.